If you want to increase your team’s efficiency, focusing in on your sales productivity metrics and using the data to refine your processes can help rescue your sales reps’ lost selling time. It’s no secret that most sales managers and their teams are pretty into numbers and keeping track of them. Probably any sales rep you ask is going to be able to rattle off some personal stats, like number of deals closed this month, average deal size, and how close they are to hitting quota. For the most part, a lack of numbers and metrics is not the bone of contention in sales productivity. Often, it’s an overwhelming amount of numbers and metrics that slows sales teams down. Getting distracted by shallow metrics that you can’t take action on is no help in hitting those ambitious sales targets. On the other hand, if your sales reps are drilling so far down into the numbers that they get lost, again, they’re taking their eyes off the sales prize. So, how do you get productive about your, well, productivity metrics? Aligning your process and efforts with a select group of actionable metrics means you won’t drown in a flood of new numbers or get bogged down by reporting. 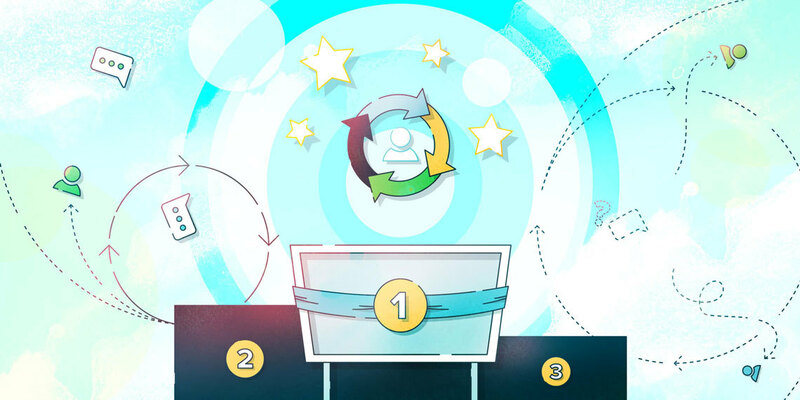 Here are a few widely collected sales productivity metrics and how to make them work harder for you so you can get busy making your deals won metric skyrocket. On average, sales reps report spending only about 35% of their time actually involved in selling. Tracking a metric like the percentage of sales reps’ time spent selling is great, but knowing what is keeping them from doing more selling is more important. What are they doing with the other nearly two-thirds of their time? Administration appears to eat up the bulk of this part of their day, plus emails, preparing for upcoming calls, scheduling, creating documents such as proposals and contracts, and checking in with their fellow team members. While some of this “busy work” that’s not directly contributing to the bottom line can’t be avoided, some of it can at least be sped up or automated by using a suite of tools. Make sure your team is fully trained to make the most of all the tools at their disposal. You’re likely using a customer relationship management (CRM) database, but make sure you’re using it to its full potential. Most CRMs today have multiple ways to automate data flow, follow-up, and reporting, so you can set yours up in ways that make the most sense for how your team works. It could be using rules and filters to segment leads or flowing contact details collected from your website forms directly into your CRM. What if it’s communication causing the hold up? 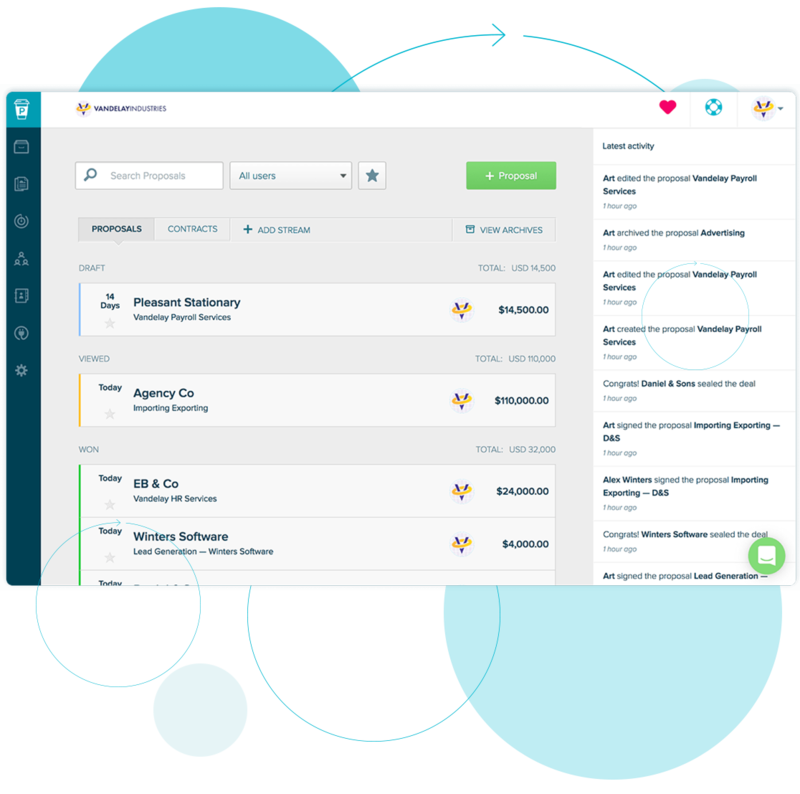 There’s software that streamlines how your team gets in touch with leads, whether it’s via email, direct messaging, or phone calls. Scheduling? A solution like Calendly lets sales reps send prospects a list of potential meeting times to choose from, eliminating the back-and-forth of calendar synchronization. On the flip side, you can drag down productivity by involving too many tools in your sales process. Find your team’s specific pain points first and then bring in the tech-based solutions. Make sure you have strong reasoning to back up your software decisions and emphasize the ROI to get team buy-in. And, look for systems that can integrate with one another, which will cut down on time lost to data entry even further. Not that kind of Data. Your rep promised their lead crucial info hours ago, but they are still searching their files for it. They found the version from a year ago with the outdated logo, and the one from six months ago that’s targeted to another type of lead, but can’t put their mouse on the current, up-to-date copy. Though it may seem like a minor inconvenience, spending just a few minutes every day trying to locate key content and documents can eat even further into sales reps’ selling time. Even more crucially, hot leads won’t wait around while you pester the graphic designer to create or update a brochure or contract for you. Sales research shows that turn-around time is key, as decision-makers tend to “dance with the one who brung ‘em” -- aka, the first one to express interest and follow up with them. Knowing the percentage of time your sales reps are spending on content is fine, but if your metrics in this area need improvement, you’ll need to drill down. What, exactly, are they spending this time on? Creating new content on the fly each time? Existing content not aligned with current sales goals and targets? Not knowing which pieces are most effective in each part of the sales cycle? Just can’t find the dang thing you need? To ensure your team always has great content at their fingertips, your biggest ally is going to be the marketing department. Your sales reps know your business’ customers inside and out and can provide marketing with valuable insight to create targeted, persuasive sales content for each stage of the sales funnel. And, not to worry, we’ve got tips for getting these two departments that sometimes don’t see eye-to-eye on the same page. I pity the fool who doesn't collaborate. To speed up your content retrieval time, start by looking at how you currently store and file these documents. A common, easily accessible central library for your collateral is a great start. You’ll need to implement organization processes that fit your business. You might opt to sort the content by product or service line, by keyword, by lead industry or size, and/or by sales cycle milestones. Whatever you choose, consistency is the name of the game. A digital clean-up like this is particularly helpful when it comes to more complex documents with lots of moving parts, like proposals. Online proposal software solutions like Proposify keep all your relevant, up-to-date content in one digital library where users can quickly move it into the bigger documents as needed. An ideal average sales cycle length is going to be unique to your business, what you are selling, and to whom you are selling it. The actual sales cycle length metric itself may matter less than the reasons behind why it’s taking that particular amount of time to move prospects along the buying journey. Take a look at other numbers that go hand-in-hand with the average sales cycle length metric, like average deal size. A longer sales cycle might make complete sense if your average deal size is large, since bigger, more complex deals are going to take more time to close. A shorter sales cycle might, at first glance, seem like the team is working productively. If the average deal size is infinitesimal, though, it might mean your sales reps are mostly going after the quick and easy deals. In the long term, you’re likely going to need to make adjustments, including adding more leads into the top of your sales funnel, to close a ton of these smaller deals and hit your targets. If your average sales cycle length shows some room for improvement, look at where sales reps keep getting stuck and potential sales start stalling out. If it’s mid-funnel, perhaps they need support on sales technique or messaging. How often do reps extend the close date of an opportunity? It could be that their negotiation skills need some refinement. When too many leads leave the funnel, especially in the later stages of a deal, this costs you and your team time, money, and effort. 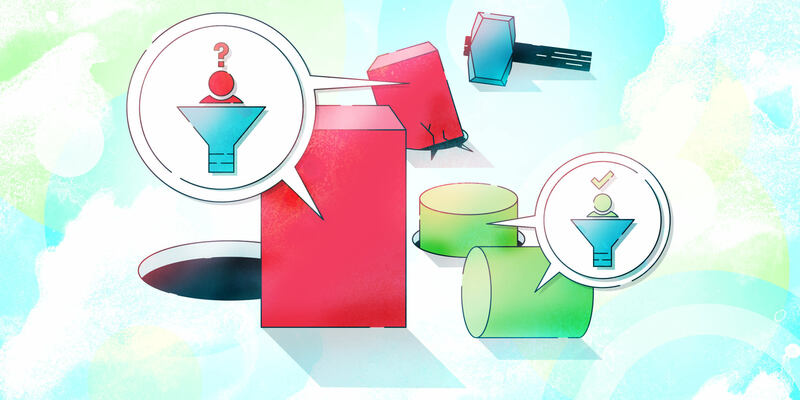 Being proactive about patching up a leaky sales funnel helps make your team more effective and efficient, keeps leads from jumping ship to your competition, and shortens the sales cycle. If you have a team of sales reps, take your top-performing and most productive reps and figure out what they are doing right. Where does their sales process pick up steam? Dig into the data on their sales cycles. Maybe you find that it only takes, on average, six calls or emails to get to where they can set up a demo with their leads, whereas the under-performing reps need eight or more contact points to get to the same result. Talk to your more efficient reps to go over their process and find out what they are doing right. Perhaps their messaging is particularly effective, or they have well-honed the timing of their outreach efforts. Use this learning to replicate their success throughout the team. 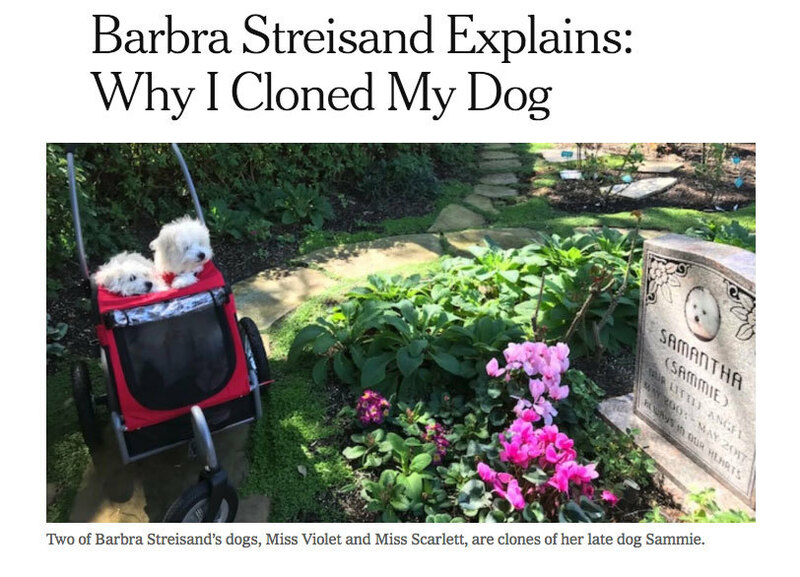 Please don’t take your replication efforts this far, though. 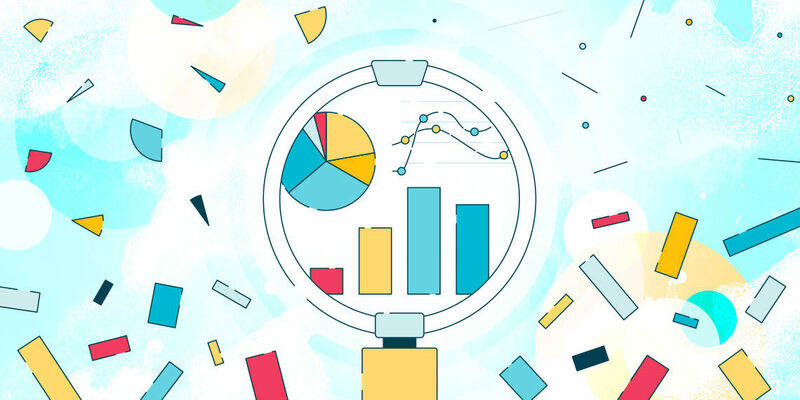 Digging deeper into these crucial sales productivity metrics will help you pinpoint areas in which you can optimize performance and give your sales team more of what they want most: valuable productive selling time.